It's really a strange feeling when you read a book set in your own city. It had never happened to me before. Moreover I read it in its original language, i.e. English, which helped to make this experience even more unusual. I admit that I found myself in trouble, as knowing too much the places described somehow limits the ability to create your own image of the setting. Maybe this way you lose a part of the fun of reading and - which can be absurd - it may undermine the suspension of disbelief, because you end up noticing some minor weird details, something that cannot happen if you do not know the places and people that live in them. Despite this, the situations narrated are so special, so out of the ordinary, that fantasy is set in motion again. And the fact that, even if I'm from Cagliari and I love to read for travelling far away, I was able to appreciate so much this book can only confirm that we are facing a really well thought out and well written novel. The detailed descriptions of places and even food (the main character, Clara, seems to have an obsession with it), which definitely have more effect on the readers of the "continent" (as we say in Sardinia), or even across the Channel or overseas, are less important to the Sardinian reader, who instead focuses on the really elaborate plot that characterizes this work. Munzittu has the peculiar ability to impress the reader. Despite the predictable beginning (indeed anticipated by description) at some point the story takes an unexpected turn and suddenly the reader does not know at all what to expect. Any attempt to imagine what will happen in the following pages fails. This way you are captured by the story and you are forced to go ahead driven by curiosity, despite a certain length of the text, which is not a bad thing at all. I will not write spoilers, but I want to point out that, despite being called a romance novel, "A Deal with a Stranger" is much more than that. There's romance, yes, but it is marginal: the heart of the story is quite different. It is rich in irony, so much that it becomes surreal at times. More than once, in fact, I found myself laughing as I read, which really happens to me with few authors. If I were to make a comparison, I would do it with Nick Hornby's novels, of course taking into account that the author is a woman and that the story is set in Sardinia and not in England. But the genre is precisely that. Who knows, perhaps the years lived so far by Munzittu in the UK have contributed to this similarity, together with a certain sense of nostalgia that pervades the narration. Beyond the protagonist, one of the strengths of the book is the presence of some secondary characters that are really well characterized. It seemed to me almost to see the two criminals, Annalisa and Monica, the talkative one and the silent one. It is no coincidence that these two characters and the place in which they live, which is certainly not familiar to me (thank goodness! ), are the ones I have been more impressed with, because, through them, my imagination took over full control of the story and showed it to me in a unique way. The final part is partially predictable, but at the same time the author has been able to do a great job, cleverly connecting the romance part of the plot with the surreal one and ending with a quite unexpected scene. The last sentence of the book, moreover, is one of the best I've read recently. In general I think that, despite being a book with a huge feminine side, it might amuse any reader. I recommend it to anyone who wants to read something different from the usual, and have fun doing it. A Deal with a Stranger - A Romantic Mystery Novel set in Sardinia on Amazon.com. Available foreign rights for my books: Rights List 2018. I’m an Italian author and, unlike what happens with my books, nobody edits my blog posts in English, so, please, forgive my mistakes. Be the first to learn about new releases and giveways! Enter your email address to get personal tips about things I like and fun stuff about my books. View Rita Carla Francesca's profile on Pinterest. “Red Desert” final book cover reveal. What will become of Earth? “Red Desert - Back Home” now in paperback! 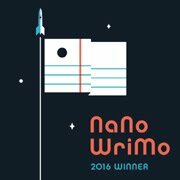 Camp NaNoWriMo April & July 2015 Winner! © Rita Carla Francesca Monticelli. Picture Window theme. Powered by Blogger.